If you are looking for a little ‘St. Paddy’s‘ decor then look no further. 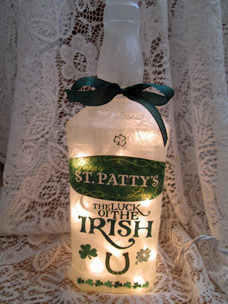 From famous Irish sayings to Celtic designs, there is something to help get you in the spirit. 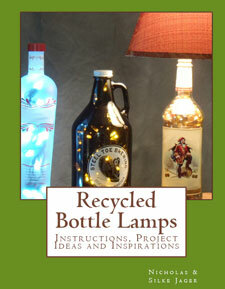 Re-purposed Tullamore Dew bottle painted in St Paddy’s decor. 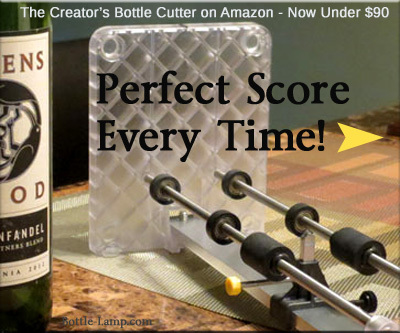 Includes a battery operated led cork shaped light. Also a moisture and waterproof sealant has been applied to preserve this holiday decor. 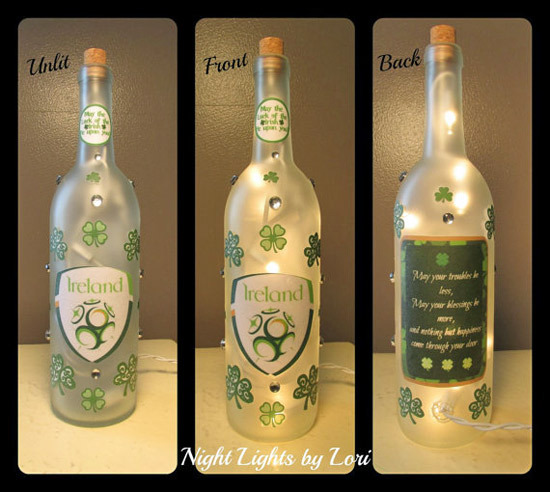 Irish (Ireland) Wine Bottle Night Light. Strand of 20 mini lights inside. Hole drilled in back of bottle for cord. Night lights can be left on all night as the glass will not get hot. St Patrick’s Day themed frosted light comes with Clear colored UL Listed bulbs. 20 strand mini lights are electric & plug in to any power outlet. The cord comes thru the hole that is drilled in the back of the bottle. 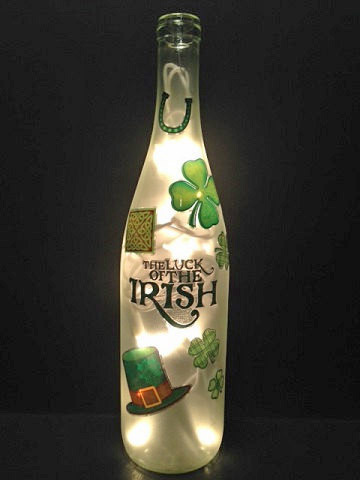 Happy St. Patrick’s Day wine light makes perfect decoration for the holiday. Drilled hole in back plugs into wall outlet. 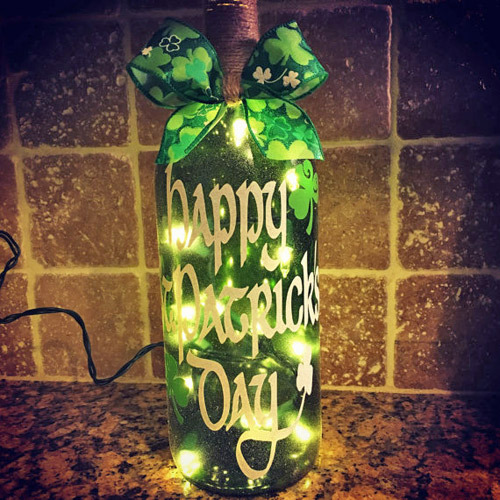 This recycled bottle is transformed into a cute Irish lamp by adding textured tissue, Irish sayings, green bow, clear mini string lights within. So cute, but you don’t have to take my word for it! 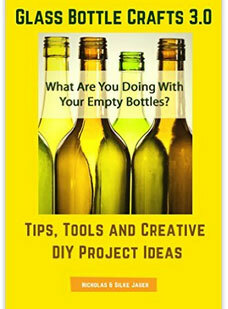 These are just a few of the many bottle project you will find on Etsy to help you decorate your home. The thing to remember is that the people who have put together these wonderful pieces are making them with their own hands. The time and talent that the artists put into a crafted item goes beyond anything that you can purchase from a factory. 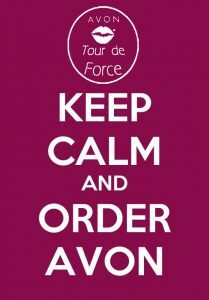 Leave us a comment below and let us know what you think. Happy St. Patrick’s Day!